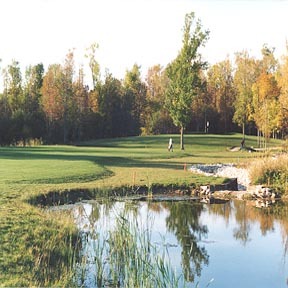 Enjoy your surroundings on a beautifully maintained lake-studded 18-hole championship golf course. Exceptional greens, natural scenery, island tee & greens - a must-play course. This fully irrigated course offers one of the best layouts in Wisconsin. Golf Digest Magazines 4-star rating. Complete practice facility & pro shop. Picturesque views await you from the Pub & Grill. Watch golfers approach the challenging ninth-hole island green thru panoramic windows, the clubhouse signature.